According to recent reports, there’s some big and important news in the credit score industry! FICO, the famous company that is responsible for the credit scoring model that is used worldwide, had recently announced on the 7th of August, 2014 that the new generation scoring model will be much different from all the past versions. This credit scoring model has been named FICO9 and this model has already hit the scene since fall 2014. After going through the introduction of the post, you must be intrigued enough to know how FICO9 is different from the previous model and in what ways your personal credit score will be affected due to this. Well, go through the concerns of this article to know more on this. FICO9 – What’s new about it? The most awaited doubt about the FICO9 is about the changes that it has with FICO8. Well, here are two of the major changes between the 2 scoring models. The new FICO9 credit scoring model will now differentiate between non-medical and medical bills that have already been sent to the collection agencies. Now with the new credit scoring model, medical bills that have gone into the collection department won’t carry as much weight on consumer’s credit scores as it did before. FICO8, on the other hand, didn’t make any difference between unpaid medical bills and non-medical bills. The new FICO9 credit scoring model will also disregard accounts that are in collections that the consumer has already paid off. On the other hand, FICO8 made no difference between paid and unpaid collection accounts. FICO9 has been blessed with the intention to predict the risk of the consumer in a better way. But the outward pressure to change the dominant credit scoring model of the nation has been mounting on FICO. In the month of May, 2014, the CFPB or the Consumer Financial Protection Bureau released a report that clearly stated that an increasingly large number of Americans are being over-penalized due to their medical debt that has already been sent to the debt collection agencies. The media outlets soon picked up this top story and soon there were questions that were being raised about the present models of credit score, particularly because a huge number of people in the United States of America are suffering from medical debt. 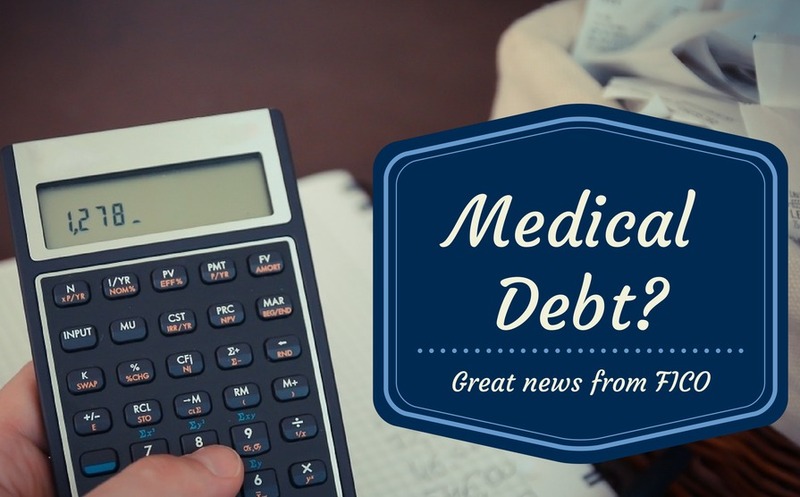 According to an analysis by Nerd Wallet, 25% of the American adults were struggling to pay back their medical debt in 2013. Even more, the very same study also revealed that about 18 million will get a pretty poor credit score due to the hefty amount as their medical debt. Due to this, it can clearly concluded that the new changes to the FICO credit scoring model will be pleasantly welcomed by all those who are suffering from different medical conditions and who have got a poor credit score due to the same reason. Will your score rise due to the changes in the FICO credit scoring model? If you’re someone who has accumulated a huge amount on your medical bills, you should be wondering whether or not your credit score will rise when FICO9 comes into effect. Well, the answer to this is that whether or not you will see a rise in your credit score due to FICO9 entirely depends on the factors that currently affect your credit score. If you’re not sure what they are, you can immediately take a look at your present credit score. As per an article that was printed in the New York Times, due to the new credit score model, named FICO9, the individuals with a median score of 711 and a clean credit history, apart from medical debt, might witness a rise in the score by 25 points. But all those consumers with a tarnished credit file only due to medical debt that was sent over to the debt collection agencies are likely to witness even greater increase in their credit scores. 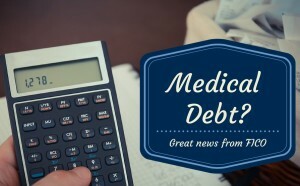 Although medical debt can be relieved by getting help of the national debt consolidation programs, yet you need not fret about its effect on your credit score as you now have the new credit scoring model rocking the entire industry.